So my friend asked me to play Aura Kingdom with him, which is why I didn’t get a chapter out yesterday. And while I was playing, I realised something: some readers play games too! So anyway, in conclusion, if anybody plays Phoenix server in Aura Kingdom and wants to throw free stuff at me because they love me, I’m playing a lv60 ronin called ‘YamotoKoki’ (YEEART!) ahaha! Oh, and I guess playing together is fine too, but I’m mostly asking for the free stuff (lol). There’s a superstition that the area between your eyebrows is particularly sensitive and pressing a finger or stick there will especially hurt. After reading the words on the paper in my hand, I looked up and found that the Pope was standing there with eyes shining with some kind of expectation. Seeing that subtly proud face, the fact that his good looks were its only redeeming feature kind of pissed me off. Leonora was standing next to me and had been peering in on it as well, and when I had her burn it away the Pope began to scream. I didn’t want to meet him so I had Tena act as my representative, but he specifically wanted me to have a look at something, so I even went out of my way to build an audience hall on the 4th floor, but I didn’t think that I’d be made to read something like that. The reason I added this hall was because they were treating me as a god, so I couldn’t easily head down to the 3rd floor and below, and since I didn’t want to invite him up to the 5th floor, there was no other place but the 4th. Also, the reason I didn’t want to call him up to the 5th floor was because I didn’t want him to meet Lili. In his mind, Lili had been eaten by me, and as for Lili, she shouldn’t want to meet somebody who tried to kill her either. Only, although I know that he’s somebody who tried to kill a person I’m close to, mysteriously I didn’t feel any sense of repulsion. I think it’s because his personality is so intense that the first impression was drowned out. I wonder how Tena feels about this. She associates with him normally though. The Pope drew in with a flood of tears, and in my revulsion, I accidentally sent him flying with a shadow bullet. It was so sudden that I didn’t hold back on my strength, or so I was thinking, but the Pope was just fine and immediately got up. I shouldn’t be one to say this, but is guy really human? To begin with, these eyes that even cause the daughter of the Demon King to dogeza don’t seem to have any effect on him… Or rather, should I say that he even gets a little excited? It makes me want to avert my eyes myself. Even if you act all prim and proper now, it’s too late you know. Even without antagonising them, the Church of Sacred Light might be hostile anyway, but that doesn’t mean that there’s a need to needlessly stir them up. We’re lucky enough that they’re glaring at another country, so I don’t want to provoke them and have their spearhead turned this way instead. And also, why did I end up the one who created the world? I have no memory of doing anything like that. Or rather, before ‘exaggeration’, all I found were a bag of lies, but? Please give me a break. Just imagining a nation formed from people gathered by that kind of scripture is giving me goosebumps. I might have been too hasty. The blank paper in front of me was causing me to hold my head in trouble inside. I accidentally said in front of the Pope that I would write it──the Pope gleefully left──but, since then the brush in my hand has written absolutely nothing. To begin with, I only realised just now that there’s no way the deity themselves would write the parts that worshipped and praised the deity, but it’s much too late. And also, even leaving that part aside, the rest of the contents are difficult too. Amongst the believers gathered in the temple right now, many of them were in despair because of the Church of Sacred Light, or the social class system. Because of that, I needed to write something revolutionary and reformist like destroying the current system, but in that case, I’d had no choice but to write something antagonistic towards the Church or the other countries. And personally, just as I said earlier, I definitely don’t want to antagonise the Church of Sacred Light or the other nations, so as much as possible I’d like to head in a direction that doesn’t provoke them. When I sighed at how I was making no progress at all, I heard somebody call me from outside the room. Apparently after Tena had put Lili to bed, she came to see how I was doing. It wasn’t a lie. I’m still totally fine. For some reason after I turned into a divine, I stopped needing sleep. Staying up a few nights won’t hurt my health at all. It’s completely unrelated to physical fatigue. I know that as an apostle, Tena still needs to eat and sleep. Because of that, unlike me, she needs to properly rest. I’m happy that she’s worried about me, but she needs to rest after she’s done with the tea. After she left a cup of tea in front of me, I was going to tell her to go to sleep, but before I could, Tena spoke to me first. Perhaps realising that I was troubled, Tena asked me that, and I nodded wordlessly. A situation where you keep crumpling up the pages and starting over can’t be called progress no matter how you look at it. After saying it myself, the impossible requirements made my head hurt. The moment that you reform something, you’d be picking a fight with the people who currently had benefits, so to begin with it was contradictory. ‘Because that’s what the followers want.’ I was about to reply, when my mind suddenly came to a stop. It’s certain that there were lots of people amongst the followers that were in despair because of the Church or the class system. But if you asked me if all members wanted reform, then I would have to say that I hadn’t heard such a thing. What the betrayed and wounded wanted was something more vague than that; ‘something righteous’. If that wasn’t true, then even without religion, they’d rely on something else in some other place. And as for ‘something righteous’, there was no need to forcefully link it to reform. From the beginning, there was no need to touch on troublesome topics like the current state of the religions or countries in the world. As long as I state ethics or morals; state ‘the way things should be’, then that’s enough. It felt like a ray of light shone into my mind that had been hazy from agonising over this. 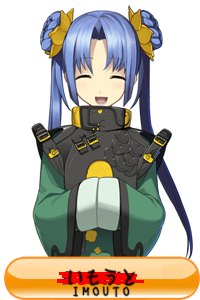 Perhaps feeling relieved because she saw that I was fine, Tena gave a bow with a smile. I nodded back at her. Right. There was no need for me to put on airs. In the end, the scriptures were just the basis, and not the entirety. You could tell this just by looking at the way the Church of Sacred Light spread. It’s fine just for me to write whatever I think. The religious stuff can just be left to the Pope and the rest to add on. Mn. It feels like I can write now. Pulling myself together, I turned to the page and began putting down my thoughts into words. An item designated as an ‘S-Class Danger’. Said to be filled with the malice of the Evil God, amongst the things in this world, it is a cursed item of particularly great strength. Those who have received this item will continue to suffer misfortune until they transcribe a copy and hand it to somebody else. Additionally, as even the copy contains the curse, it will propagate endlessly. Additionally, there is no means of destroying this item. You suffer a bald patch. You experience “popping ears” when heading to high places. It feels like somebody is pressing a finger between your eyebrows. You will suddenly suffer stomach pains in places where there are no nearby toilets. Each morning you will awaken to a leg cramp. You will unfailing stub your little toe on a shelf. You will unconsciously blurt out your real opinion. You will end all your sentences in ‘evilgod’. Lmfao, her ‘Bible’ is just like one of those facebook posts, that trick ppl into passing them on for eternity… except the jinx is actually real lol. Haha, that’s one way to spread a religion. I would hate to be the last person on the planet to receive a copy of the scripture. Since the it is also indestructible we will inevitably one day drow in them. So she also created the ultimate thrash. No… then at some point, wouldn’t everyone be cursed? is it written somewhere that you can’t give it to person who received it before? them curses are worst than death…. –bald patch… even on women’s heads??? W-wait a minute, is that description of the Black Scripture really what Anri wrote??? LOL if that’s the case! That’s one way to spread religion. Will there be any actual scripture-like text in it though? I think that’s the description of the Scripture that the Church made. The misfortune and the chain-letters are an effect of Anri-sama’s Blessing. Nah, doubt she wrote it. Probably adventurer guild, or some country. And because of the overly blessed nature of the Scripture, anyone who would disregard them will be striked by Divine Judgement. Now, all Anri-sama needs to do is to give a copy of Her Scripture to the Church to force them to propagate it for Her. Is aura kingdom any good? I took a look at it and it looks very similar to the other cheesy point and click mmos. Speaking of cheesy mmos, have you seen scarlet blade? I have heard of scarlet blade and was not interested. Aura Kingdom is uh, idunno, fun. But the publisher is crap. It’s not the best. The previous game, Eden Eternal had a nice class-swap system that AK doesn’t. A game that also has a partner (SMT IMAGINE) was a lot better in that respect. But yeah, AK is fun enough. It’s certainly not a bad game. played ak till lvl 60… that game is kinda fun on partner system. the partner can get angry laugh or even sulking. though i prefer playing pvp games. AK is pretty bad. I got talked into playing it when it came out in January I think. They use maybe 5 different maps for damn near every mission and have a dozen mobs in total they just repeatedly reskin for higher levels. I know every game does this to some extent but they took it to a massive extreme. Maybe things have changed since then, I wouldn’t bet on it though. Ah, its precedessor Eden Eternal was even worse in this respect, but I enjoyed it anyway, so I suppose its one of the things I don’t care about. I wouldn’t have minded as much if I felt like they were putting effort in somewhere else but on the whole it just felt like a lazy cash grab. Eh, it’s actually a pretty polished game though. I’ve played mediocre cash-grab games before, so I would know. How grindy is AK anyway? I’m looking for something to play ever since sd gundam online got shut down globally by the developers and the upcoming sd gundam: next evolution looks like crap. Q’w ‘Q I got to about lv 58 on the last day then spend the rest of my time trying out different class. Outrageous! As Great Leader, I hereby excommunicate you from our mighty Yamete Tribe for your sins! “There’s a superstition that the area between your eyebrows is particularly sensitive and pressing a finger or stick there will especially hurt”. That’s not really a superstition. The orbital bones some of the thinnest parts of the skull, and as such more nerves are in the area in order to compensate (as well as protect the eyes). Not only that, but in acupuncture the third eye point is also right in that area (also called Yintang). Another reason that part is usually sensitive. chain mail. . . .. wahahahaha and hey didn’t you just started playing why are level 60 already? Started last week, actually, but I quit for a bit. Yep. Takes you a few days at most. All those things sound TERRIFYING! All hail Anri sama evilgod !!!! Even if you wore full body clothing that were impenetrable you will still get the impact. So a sledge hammer would obliterate you with the same ease as though you were naked. I think its more like with the other cursed items. Even if you try to destroy or threw it away it will just appear in your hand/pocket after some time. So its not invulnerable but indestructible. lol hahaha she made that the contents os the trivial one !! lol !! Wat was your thought on the recent episode of rokka? I thought raina’s hair was red… hmmm… though Shetra was pretty. The last part didn’t seem like something Anri would write. Sound more like a curse. That list of misfortunes is gold. That’s just stupid… I like it. Awaking to a leg cramps?! That is true evil, and the subliminal *imouto* messaging is there again. Her faith is going to spread so fast with that cursed letter err Black Scripture. Thanks for the chapter. I thought the superstition was that the area between the eyebrow is where the “Third Eye” is located and pressing a finger there “damages” it & will make it difficult for the soul to properly pass to the afterlife once you die? Also, I thought that for the opening of the , Anri could just plagiarise form the and add in that the holes in the universe caused by the Church of Sacred Light summoning Other World Heroes allowed prayers and exhortations to the Evil God be heard by a True Evil God of Outer Evils to inflict Anri upon the world. Damn wordpress ate my words, I meant that Anri could plagiarise from Leonora’s Demon Scripture creation myth. That’s not superstition, it’s religion. It’s called the paranasal sinus. There is a bit of truth behind that superstition, the frontal sinus is one of the weakest parts of the human skull, long long time ago in Army UC (unarmed combat), it was one of the parts you were told to target for a quick kill. And yes, a strike there can, will and have killed. It’s basically hollow, so if the bone breaks, the shards go you know where. Interesting, historically, religions which have spread messages of peace and love have always spread the fastest. I think it was Buddhism in India that was famous for converting all the armies that conquered it. I wonder if Anri will take a note from those religions and make something really effective. This world has a slavery system, followers of the Church of Sacred Light who get cursed by “Black Scripture” will likely hock it off to the slaves. The “Black Scripture” will then spread like wildfire amongst them faster than you can say Spartacus. Anri forgot that spreading an alternate view of ‘the way things should be’ IS picking a fight with the Church or existing countries because adherents will take action to initiate reforms to realise that vision. I have the feeling that the actual content won’t be nearly as heinous, though. it would not stop the faithful making more copies though. and can you imagine the pr disaster if public learned that someone was preaching the word of the evil god to prisoners? I love the effects of the cursed lett…, i mean Black Scripture. It is “cursed” therefore none can steal it from you, and there are no priests between the follower and the holy word. You have to make a copy to give away, making sure it spreads, even if slowly, (more zealous ones will probably make hundreds of copies), and makes spreading the faith one of the central tenents of the religion without needing to spell it out. It is indestructible, giving a clear show of divine will being immutable and not a subject to mortal editorializing or censorship. And the curses are severe enough to make sure most will make a copy tos pread, but not so severe as to truly harm the faithfull before they manage to fulfill their duty to Anri. ps. as mentioned earlier, it would be hilarious if someone handed a copies to priests of Sophia, and forced them to spread the word. Thanks for the chapter! Is the list of misfortunes in the actual story or just a random thing in an author note as a joke? Haha. Ok~ Just wanted to check. Oh no, everything else is alright, but god no, don’t let the stubbing of the toe part be true!